I have been so looking forward to this box since they announced that the theme was going to be Villains. I had so many visions of Loki dancing in my head because he obviously had to be in this box in some capacity. Was I right? Keep reading to find out! Before I get into the unboxing, I will just say that I think this box still has some figuring out to do. I love this box so much but if another box had some of the same inconsistencies as this one does, I wouldn't be sticking around. I never received any tracking information or notification of any kind that my box had shipped. I saw them post on Facebook that the tracking information was going out starting on a Thursday and that everyone should have theirs by Friday. I checked my e-mail obsessively for the entire weekend and never received anything. Neither did my friend Noelle at work and neither did one of the partners in my office who gets the box. None of us, to this day, have received e-mail confirmation of tracking. I happened to go onto the website and login to see if there was anything available for tracking and I stumbled upon tracking information there. But every subscription service I belong to have figured this much out, this one hasn't. However, I love this service so much that I can look past these errors. So let's jump in! I love the insides of these boxes! They're so perfect and fancy. As usual, we get a pin and a patch, this box features Red Skull and Green Goblin. This is hands down my favorite shirt that we've gotten so far. This is so cool! I haven't looked through this yet so I don't know if this actually has something to do with zombies or if this is just a fancy variant cover. I will definitely be checking it out soon! I have a lot of comic book catching up to do before I get into this one. We got this teeny, tiny baby Venom and he is so cute! He can be a little figure guy or a keychain. Aaaaahhh!!! We got a Loki Dorbz! And he is TOTALLY DORBZ!! I was hoping for an actual POP of him but this is even better. I can't even handle the cuteness! And for our POP we got Morbius. I admittedly didn't know who he was and had to Google him but I would say he is pretty appropriate for October and Halloween. Like I said before, this box has its problems but I still think it's awesome. The next box is coming in December and is Guardians of the Galaxy themed! I can't wait to see what Groot adorableness is in this box! 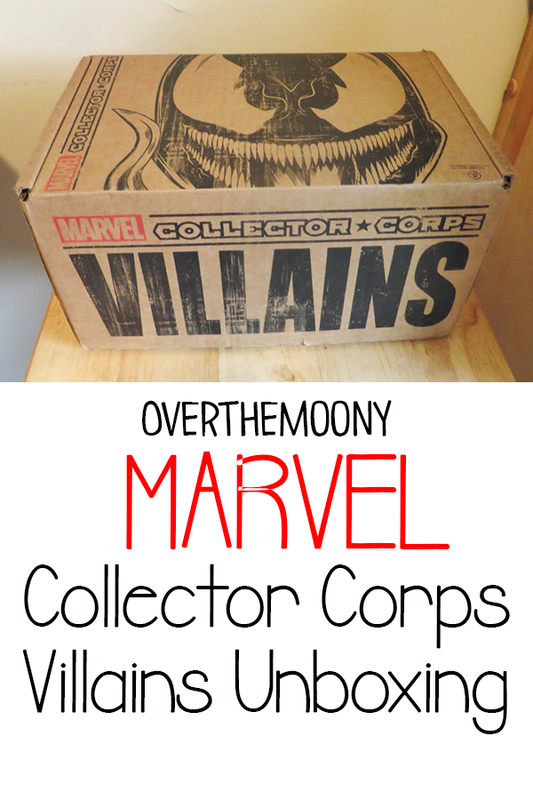 Did you get the October Collector Corps box? What did you think of it?